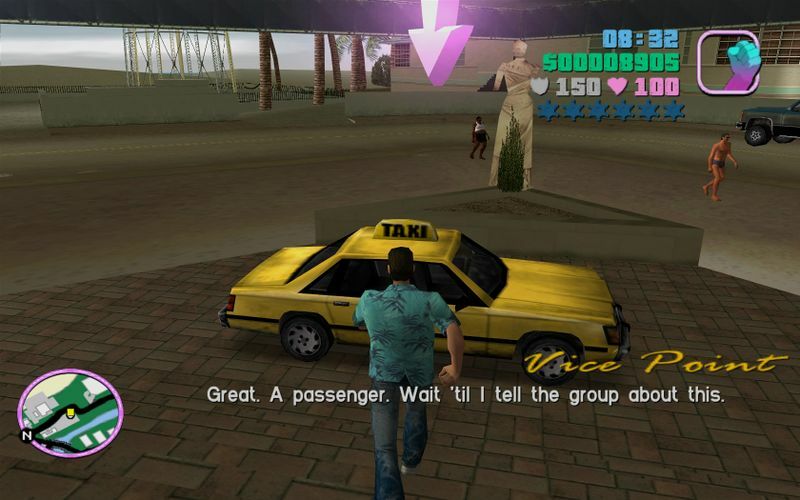 Image from The Job in Grand Theft Auto: Vice City, featuring Tommy Vercetti about to enter a Taxi outside the Malibu Club. Image obtained from the Polish GTA Wikia. This is a screenshot of a mission from Grand Theft Auto: Vice City - a copyrighted video game developed and published by Rockstar Games.